Haunt season is here! Today we head to California's Great America to check out Halloween Haunt 2016! 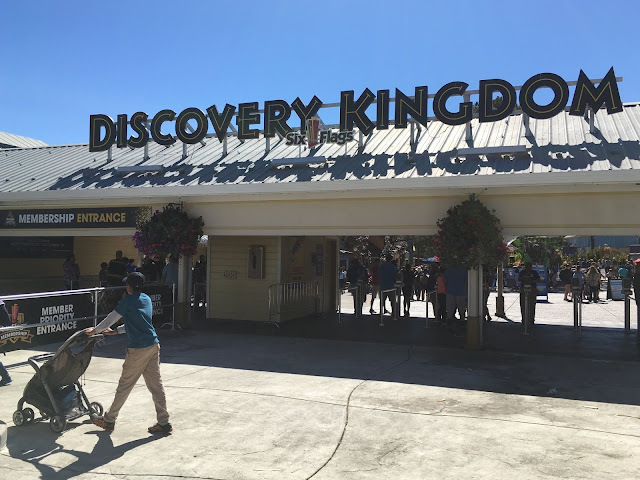 We have photos and a full review of every maze, attraction, and Skeleton Key room park-wide! The park took some cues from its neighbors in Silicon Valley this year with the addition of Fear VR, a Virtual Reality up-charge haunted experience. The story is set in a mental hospital, where guests are admitted as new patients. After a brief safety safety spiel, guests are led into the main operating room. Samsung Gear VR headsets and headphones are secured one by one, and guests' wrists are secured to an "operating" chair. This is where the fun begins. You are in the mental hospital when a possessed girl within the facility breaks loose and terrorizes everyone. Without giving away too much, let's just say the experience is very thrilling. The video's production quality is high, and the hospital atmosphere is convincing. Most guests, that are likely unfamiliar with Virtual Reality, will be especially impressed with the technology's capabilities. You are able to move around and interact in the environment as the hospital story unfolds, and the new customized freedom that guests have with the headsets sells the story. The focus point of each scene periodically switches to different sides, and the action of shifting your head as the story progresses to follow along adds much realism to the attraction. Now, like most new tech, the experience did have some hiccups. My headset had some trouble during my attraction, and calibrated off center slightly to the right. This didn't ruin the experience, though, as I still enjoyed it greatly. Overall, the attraction serves its purpose; to deliver a new and innovative way to scare guests. Make sure to check it out if you visit the park (Especially if you've never experienced Virtual Reality). Road House Roadkill is a decently maze among the HH lineup. The maze is comprised of highly detailed sets, all themed to a gory slaughterhouse environment. RHR does pander to the easily queasy clientele, and doesn't offer the more general elements of jump scares and such that are haunted house staples. For this reason, some demographics might not find the attraction as thrilling as others. Take your time through this one to enjoy the sets and atmosphere! My expectations might have been a little too high for this one, but The Chamber of Horror Wax Museum seemed like one big missed opportunity to me. The maze starts off right, with the story line of a haunted wax museum. As you dive deeper through the maze, an increasing number of wax figures are absent from their display areas and have escaped. You then "exit" the museum portion, and enter the backstage area of the museum, where the missing wax figures have supposedly gone. This is where it disappoints, as their are virtually zero recognizable wax figures that were missing from the previous museum section. The end consists of a few dark hallways with a generic actor or two walking around. The maze still has interesting details to it (All the different wax figures during the museum portion, in particular) but is simply a missed opportunity. Dia de Los Muertos is the highlight of the entire Halloween Haunt event, period. The maze is very long and through, and has successfully calibrated every element of a good maze into one streamlined flow. Authentic music is synced to various segments of the maze that reflect the story line, and the vibrantly colored walls subtly transition to dim and dark as the story line's mood changes to dim. The scare actors are top notch and sell the environments they're in. This is an absolute must-do maze! Massacre Manor is a well rounded maze with a good mix of story line, decor, and scare actors. It feels like a walk through version of Disney's Haunted Mansion attraction, as the sets do a great job of emulating a real life mansion. Hand painted portraits line the tight hallways, and a massive king sized bed sits in the grand master bedrooms. All of the different rooms can seem a little similar and non-distinctive as a part of the overall mansion theme, but the atmosphere is entertaining nevertheless. Maintaining the high bar set by other mazes, Zombie High does a great job of immersing guests into the environment. The attraction itself is massive, and this aspect alone makes it feel like a real high school. You can tell that extensive planning was put into the maze's development, as seemingly every possible environment encountered in a high school is present. Classroom, library, locker room, principal office, theater stage, and even school dance scenes are all portrayed throughout the attraction. An energetic electric guitar rock soundtrack is tuned to the maze, which keeps the fast paced atmosphere going. Overall, it's a highlight attraction. It may be because of the high bar set by other mazes in the park, but Insanitarium is just lackluster. 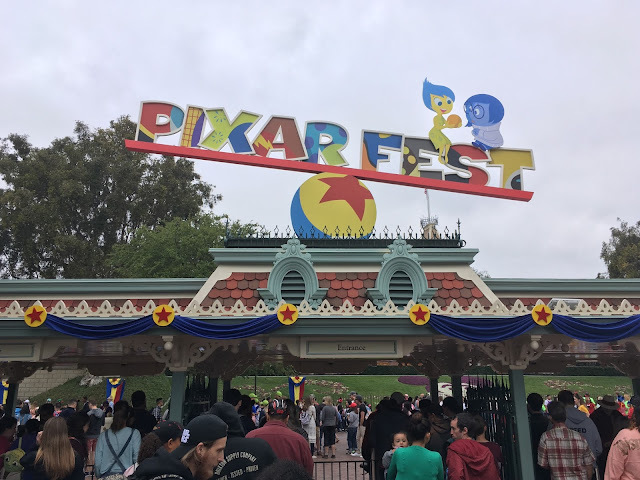 The theme is somewhat ambiguous, as it feels like a recycle bin compilation of different scary sets and actors Additionally, the mental institution environment feels generally inconsistent throughout the attraction. The maze can still deliver a few scares here and there, but lacks the streamlined story-line that is so prevalent in the other mazes. Similar to Insanitarium, Corn Stalkers just feels bland. The maze has two integral parts: a seemingly everlasting corn field at the beginning, and a farm environment at the end. The sets are just bland and uninspiring. It is the type of maze that is highly dependent on the scare actors, as they make or break the experience overall. A night with clever scare actors may yield a positive and thrilling experience, while an understaffed night with indifferent actors may lead to a bland experience. The maze has a few gimmicks throughout, but is mostly uninspired. Toy Factory takes it home. Following suit with the higher rated mazes, Toy Factory benefits from its intricate sets, detailed costumes, and a catchy toy-themed soundtrack all coming together for an entertaining experience. 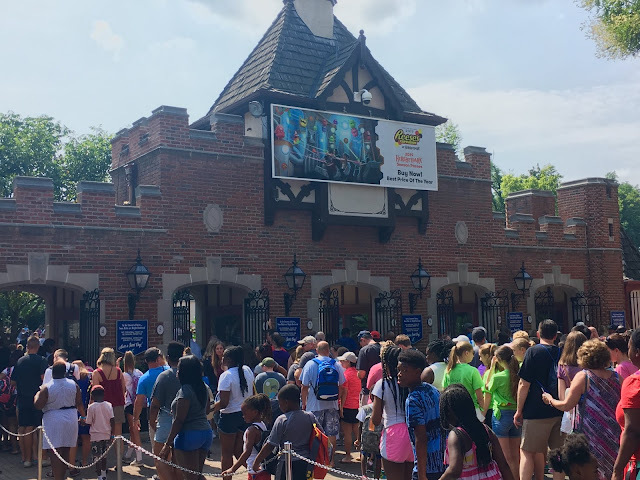 You can appreciate the extensive planning that also went into this attraction, as every theoretical element of a toy factory seems to be methodically placed throughout the maze. The different characters played by the scare actors are seemingly sporadic, but they make sense within the context of a Toy Factory. The attraction is able to deliver thrills in more of a creepy and twisted sense, in comparison to the usual gory visuals. The Skeleton Key rooms are much different experiences, in comparison to the regular mazes. For an additional fee, guests can gain access to each of the 5 rooms, which feature very individualized haunt experiences with scare actors (Think of it as an extended character meet-and-greet). Each experience is very (And I mean VERY) different, and it is difficult to compare and rate each experience to one another. I'm just going to briefly detail each experience, and let you decide which ones sound the most thrilling! This room is the shortest of them all, and is themed to a tomb in ancient Egypt. Each guest is guided into a "sarcophagus", and then a switch is flipped. Using a type of air suction contraption, the synthetic walls start to become skin tight and "crush" you, tothe accompanying Sound FX of bones crushing. This isn't a quick little gimmick either, as guests are kept in the tight quarters for at least a minute by my count. This one's not for those who get easily claustrophobic! This attraction is similar to an "escape" room, as all participants are tasked with a group problem solving challenge. Partners are handcuffed together and sent through a maze of intertwined diagonal chain. Get ready to be flexible! Located inside the Great America theater, this experience revolves around an actress that has been severely mangled in the face. As revenge for her now "lost beauty", she forces guests through an extremely disorienting mirror maze, comprised of heavy fog and strobe lights. Be prepared for this room, as the sudden sensory stimulation catches most guests off guard and is difficult to navigate. Themed to a college sorority house, this room is arguably the most intricate and thorough. Guests are lead through the house and learn of the murder of a previous sorority member from earlier before. After being lead to the bathroom mirror and reciting "Bloody Marry" three times, an interesting guest appears to warmly greet visitors! This room is just plain weird. As the name implies, the room resembles a hoarder's house, complete with a cat loving guide decked out in "cat" slippers. The key to the exit has been lost, and requires guests to sift through one of the various loaded cat litter boxes to find the right one. Yes, you read that correctly. And that's a wrap for Halloween Haunt 2016 at California's Great America! Make sure to "Like" our Facebook page to get Breaking News Updates and Live In-Park content delivered straight to your newsfeed! Facebook.com/ThemeParkOverload My name's Nicholous, and Thanks for Reading!